When appealing your property taxes in Lake County, you first need to identify in what township you live. 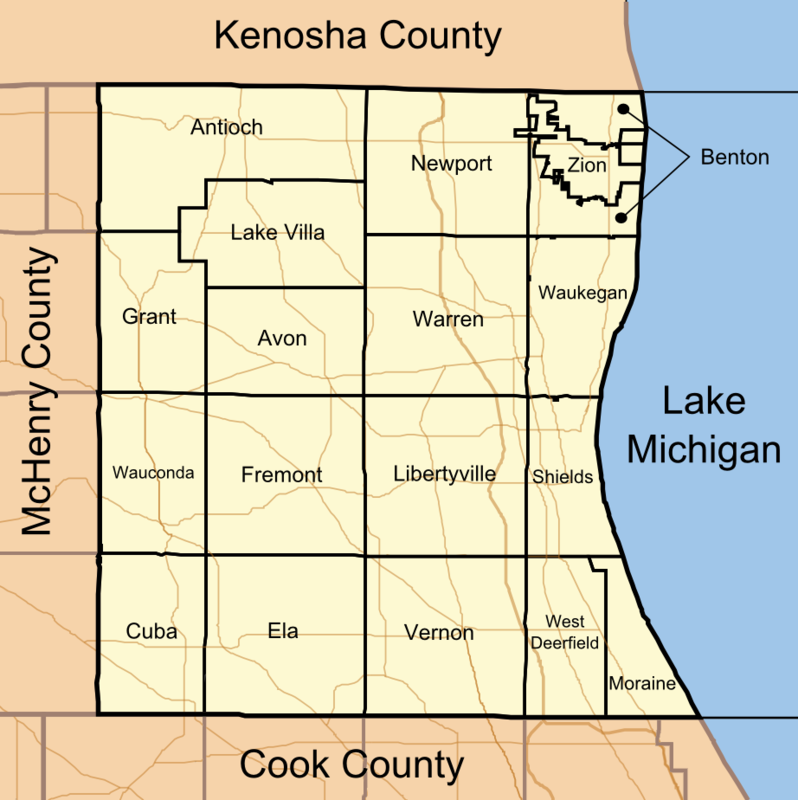 Below is a Lake County township map, followed by boundaries for each township. Antioch Wisconsin border Kelly Rd. east of 45; just south of Miller Rd. between Savage Rd. and 45; near 18 until Petite Lake; south of Nippersink Lake, Fox Lake and Petite Lake Just east of Wilmot Rd., State Park Rd. south of Main St. Between 45 and Crawford Rd. Grant Nippersink and Fox Lakes, Monaville Rd. east of Fox Lake Just north of 120 Just west of 12 Just west of Fairfield Rd. Warren Between Millburn Rd. and Stearns School Rd. Just south of 120 45 Just west of 131 / Green Bay Rd. Wauconda Just north of 120 Just south of 176 Just west of Darrell Rd. Just west of Fairfield Rd.